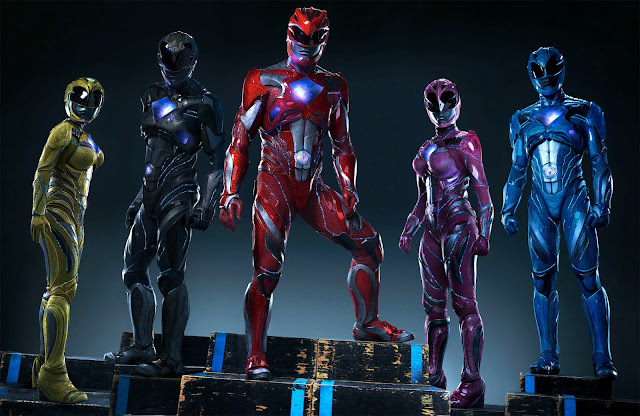 The team of filmmakers of young adult big hits from recent past (“The Twilight Saga”, “The Fault in Our Stars”, and “The Maze Runner") is gunning to make another young adult juggernaut with the “Power Rangers” movie. The film latches on the truly unforgettable 1990s phenomenon of the same nam, “Power Rangers”. The TV show became the most-watched children’s program in the U.S. and more than that, it became a cultural hit around the globe even here in the Philippines. The film follows five ordinary teens who must become something extraordinary when they learn that their small town of Angel Grove — and the world — is on the verge of being obliterated by an alien threat. Chosen by destiny, our heroes quickly discover they are the only ones who can save the planet. But to do so, they will have to overcome their real-life issues and before it’s too late, band together as the Power Rangers. The movie stars Dacre Montgomery, Naomi Scott, RJ Cyler, Becky G, Ludi Lin, featuring Bill Hader, with Bryan Cranston and Elizabeth Banks. “Power Rangers” opens March 22 in cinemas nationwide from Pioneer Films.